Justin is a sixteen year old Caucasian male with a history of psychiatric treatment including medication intervention for developmental deviation with a hyperkinetic element. His history of school functioning had been very poor with low motivation to succeed. His father reports that Justin would often experience feelings of anger and anxiety with behavioral acting out. During the initial psychological evaluation he had great difficulty attending to tasks presented to him, was emotionally labile, and on a measure of depression he scored at the 24th percentile, while on a measure of anxiety he scored at the 2nd percentile with present moment (state) anxiety and at the 27th percentile with general proneness (trait) anxiety. On the Wechsler Adult Intelligence Scale-Revised (WAIS-R) Full Scale intellectual functioning was in the Average range (Full Scale IQ = 96) with verbal area functioning in the Low Average range (Verbal IQ = 81) and performance area functioning in the Superior range (Performance IQ = 122). After thirty days daily usage of at least forty-five minutes with the CES device he was again administered a psychological evaluation. On the same measure of depression Justin scored at the 1st percentile, while on the same measure of anxiety he scored at the 3rd percentile with present moment (state) anxiety and at the 16th percentile with general proneness (trait) anxiety, a noticeable decrease with his levels of depression and trait anxiety. On the WAIS-R Full Scale intellectual functioning was in the High Average range (Full Scale IQ = 111) with verbal area functioning in the Low Average range (Verbal IQ = 88) and Performance area functioning in the Very Superior range (Performance IQ = 139). Higher scores in the Verbal, Performance, and Full Scale areas indicated a gain of more than three standard deviations which by chance alone would occur in less than two in ten thousand cases (p<.0002). He was observed to be much more at ease with a noticeable improvement in his affect and cooperativeness as well as his ability to not only stay on task, but more motivation to do well with tasks. His mother stated that his ability to tolerate difficult situations and tasks was greatly improved as was his mood and that it was much easier and more pleasant to be around him. This entry was posted in Inflammation on September 25, 2018 by cesadmin. With the increasingly stressful lifestyle there is also rise in other types of disorders such as anxiety and sleep disorders. With the lack of sufficient treatments that address these disorders, cranial electrotherapy stimulation comes as an innovative and required treatment. Cranial Electrotherapy Stimulation (CES) device is a small device that stimulates the cranium and brain with a current less than 4 mA, which cannot be sensed by the patient. The cranial electrotherapy stimulation is approved by the FDA for the treatment of insomnia, depression and anxiety. Besides, it has potential application in the treatment of a number of disorders such as attention deficit hyperactivity disorder (ADHA), obsessive-compulsive disorder, post-traumatic stress disorder (PTSD), cognitive dysfunction, traumatic brain injury, pain, enhancing attention and concentration, and for reducing assaultive behavior. A relatively large number of the population across the globe is diagnosed with such disorders. A significant portion of the U.S. population is affected by poor mental health, which leads to development of various kinds of mental health disorders. The treatment method is complementary and an alternative of medicine. There are large number of clinical trials currently active, which have proved the CES device as an effective treatment method. The increasing number of cases of poor mental health with the development of disorders such as depression, anxiety and other sleep disorders is driving the growth of the market. Although animal studies have proved this device to be effective, the adoption of these devices is affected due to lack of strong evidence in humans proving the efficacy of the devices in all or most of the cases. However, there are a number of new clinical trials in the recruiting stage, which may help fill the gap in the market. There are various types of cranial electrotherapy stimulator devices and they can be broadly classified based on the type of electrode placement, such as invasive or transcranial and non-invasive or wearable. The wearable type is the dominant segment in the market. The wearable type device is user-friendly and does not requires surgical insertion of the electrode. Most of the FDA-approved devices are suitable for the treatment of insomnia, depression and anxiety, as the prevalence of these disorders is increasing, in which depression is the most common and growing disorder in the young population. Since most of these devices are available only in prescribed hospitals and mental health clinics, they have a large scope as end-use segments in the market. The CES Ultra is one of the three major cranial electrotherapy stimulation devices, namely the CES Ultra by Neuro-fitnesss LLC, Alpha-Stim M and the Alpha-Stim AID by Electromedical Products International (EPI), and the Fisher-Wallace Simulator. 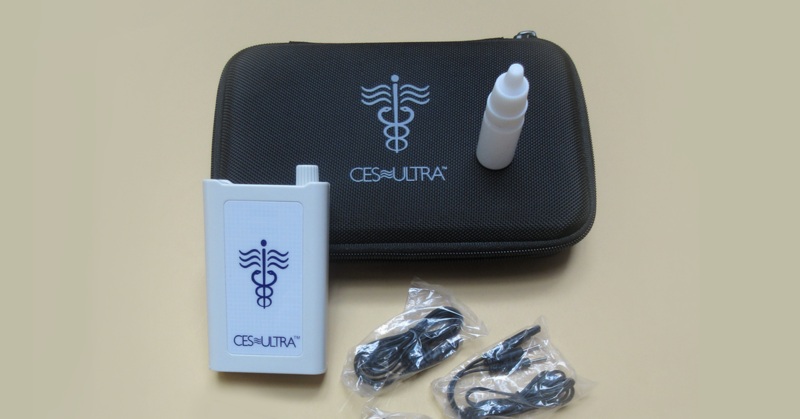 The CES Ultra is most affordable and effective easy to use CES device. You can buy directly from us, Neuro-fitnesss LLC, the manufacturer, without a middleman, and save time and money. This entry was posted in Inflammation on September 11, 2018 by cesadmin.